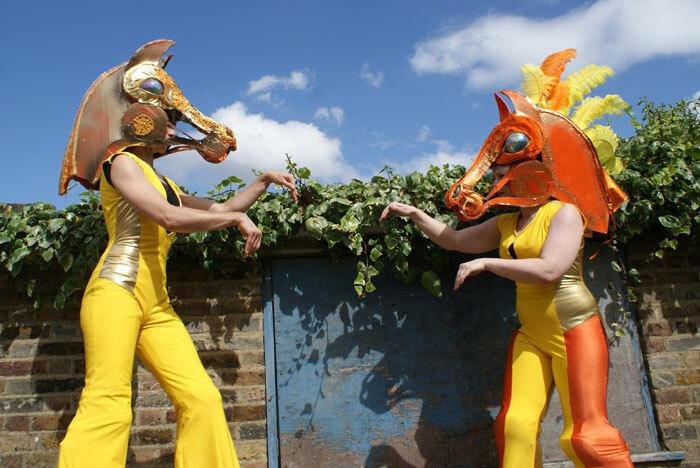 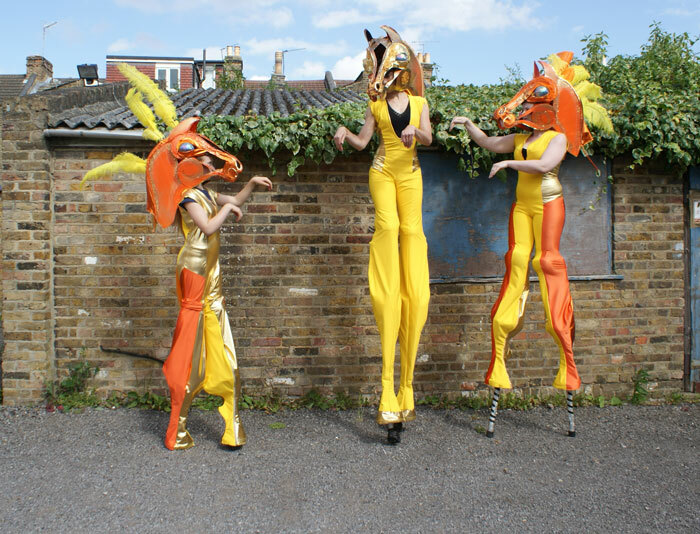 A unique new commission from Waltham Forest arts and culture to work within the community and create a performance to celebrate the cultural Olympiad in Waltham Forest as part of the prestigious Godiva Awakes event. 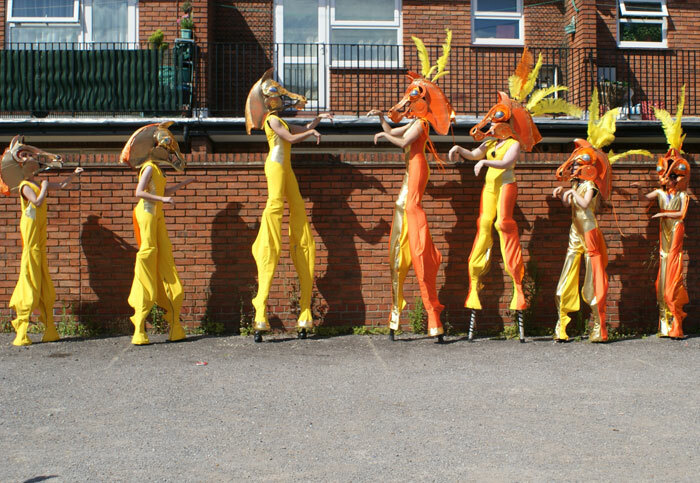 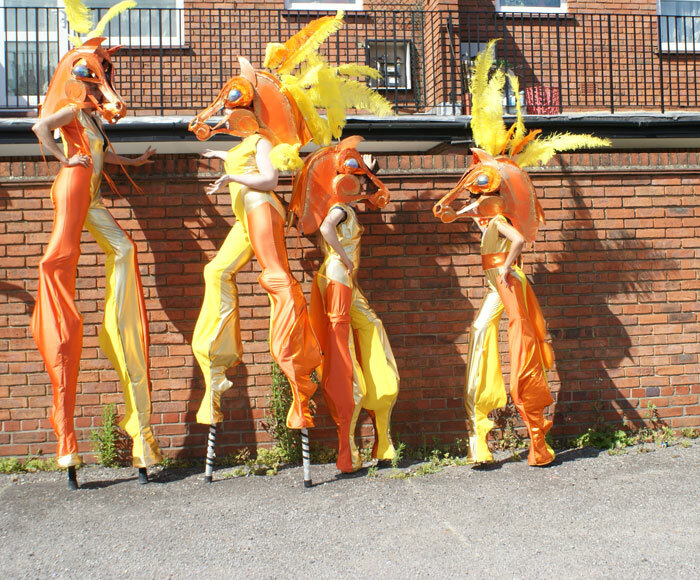 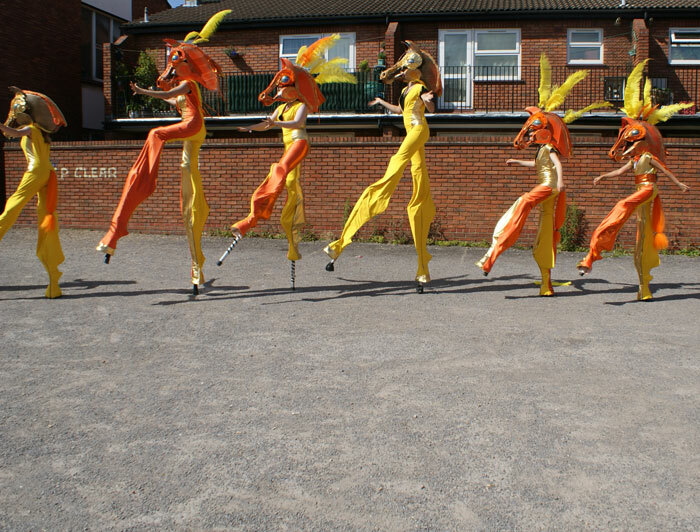 We have recruited a group of girls and young women from across the borough of Waltham Forest, trained them in Stilt walking and over a two week period have created together The Waltham Forest Equestrian Circus. 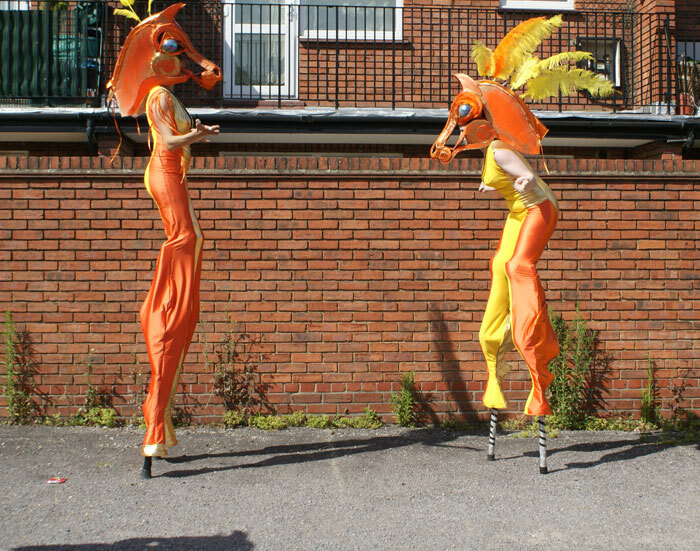 Godiva Awakes takes place on Sunday 5th August 2012 when the much anticipated Lady Godiva puppet created by Imagineer productions and powered by 100 cyclists will arrive at Waltham Forest Town Hall. 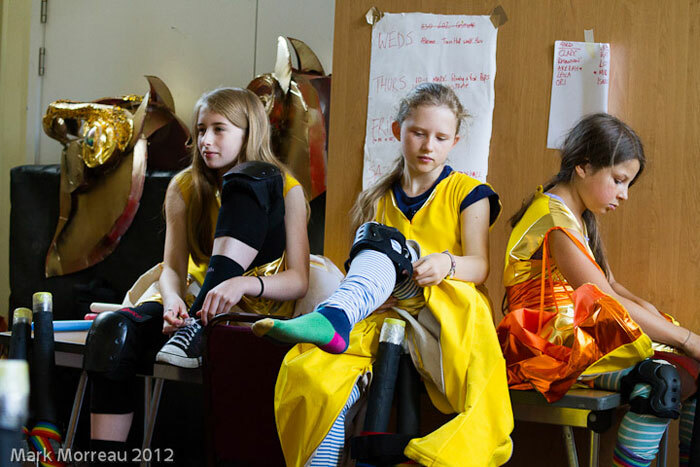 Directed by Layla Rosa projects in collaboration with; lead performer, trainer and Circus Rosa partner Kate Evans, lead performer and trainer Clare Barret, project assistant Sonita Turner and all the trainee performers and their parents that have devoted their time. 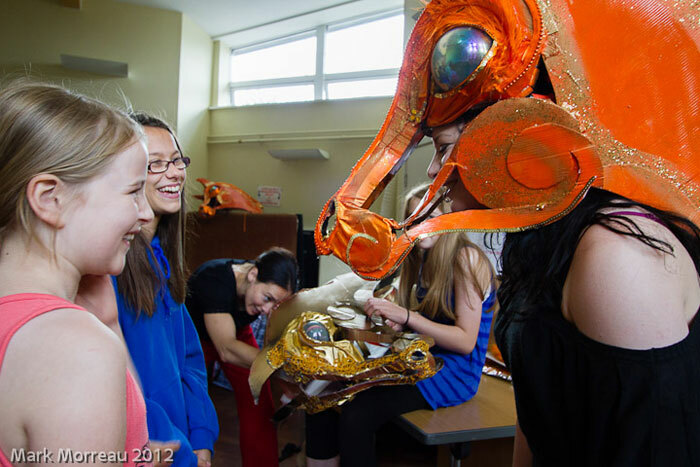 Costume by Loz Buzzard, music by Ben and Max Ringham, With support from local organisations; The Mill, The Asian Centre and Coppermill Primary school.